LPG has literally thousands of uses in the home, in commercial business, in industry, and for transportation. 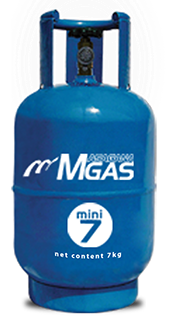 LPG can offer its benefits to both end-users and society as a whole and Masagana Gas Corp. offers various LPG uses. ​50kgs.​ Ideal for large restaurants and other commercial establishments.22kgs.ideal for small commercial applications. Typically used in bakeries and small restaurants/ food outlets. 11kgs.Commonly used in most households. More Affordable. Commonly used in most households. Suited for the cooking needs of small families. 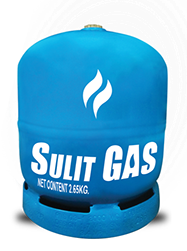 LPG can be delivered directly to the user location in bulk using LPG tank trucks (Lorries). 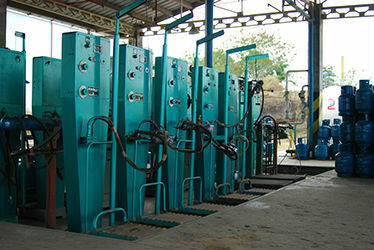 The LPG is then stored on the user's site in storage tanks. 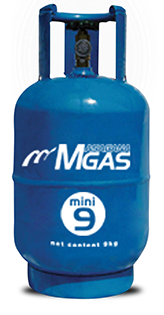 MGC maintains a fleet of LPG delivery lorries (8,000 kilograms LPG capacity) and trailers (15,000 kilograms capacity) to transport supply from refineries and importers to the client's storage tanks. 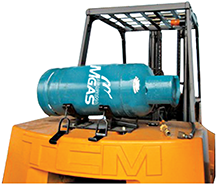 22kg LPG tank powered fork lift reduced emissions and clean burning. Ideal for food industry. 1.) 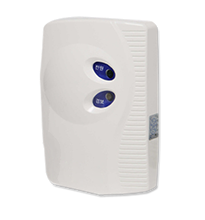 The on/off switch is child proof; it is not the typical regulator being used for household (11kg) LPG where the user just have to rotate the switch or just flick it. To turn on the switch of our product user would have to pull it and then turn. 2.) Our product has a reset button that would automatically stop the flow of gas if there are leaks on the stove and the hose. 3.) the nozzle of this product can turn a full 360 degree when installing, preventing the twisting of the host which may cause leakage and wear and tear. 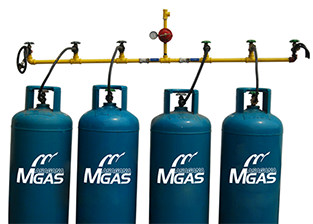 Masagana GAS offers a range of products suitable for a wide variety of applications and a host of services for its customers. 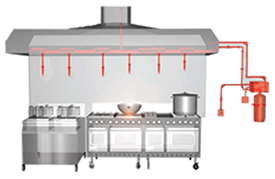 Retailing quality cooking equipment, Masagana GAS also developed alliance with such original equipment. Available at Masagana Gas and dealers are various cooking equipment like double, single burners and cast-iron stoves (for commercial use).